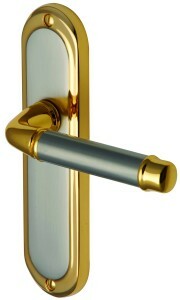 Premium quality Saturn - Jupiter door handles produced in solid brass with a satin nickel face and a 24 carat gold plate edge. Supplied in pairs with follower bar and fixings. 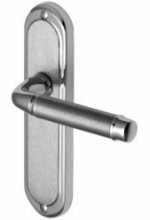 Door handle size 190 x 48mm.